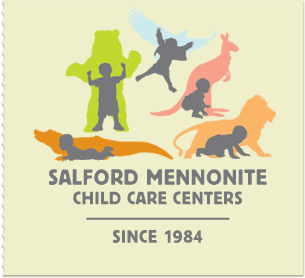 Salford Mennonite Child Care Centers » Testimonials » Imagine. Play. Learn. Since 1984. Having never used a childcare before and having some initial reservation about childcare over a private babysitter, SMCCC has proven itself to be the best childcare partner for our family. The continued genuine love, care, compassion and partnership of this ministry has been instrumental in our family.